Winding, narrow country roads, ivy-covered houses, spectacular golf courses, and a rich diversity of experiences is what we found on our drive through County Wicklow and on to Dublin, Ireland where a cosmopolitan, sophisticated city awaited. Edward F. Nesta and I traveled throughout Ireland in September 2007 beginning in Shannon and continuing on to Dublin. Driving over 1,100 km (700 miles) provided us with lasting memories of Ireland with its rich history, glorious landscape, and incredibly charming and friendly people. After leaving County Wexford, we continued on to our next destination, County Wicklow. Entering the long driveway to Rathsallagh House, driving by the Rathsallagh Golf Club, and having our first glimpse of the old stone farmhouse covered with green and red tinged ivy with smoke drifting from the chimney, I immediately thought, this is the vision that most people have in their minds about Ireland. Rathsallagh House is postcard pretty and the O'Flynn family are the perfect hosts, who will charm you with their hospitality as well as their local knowledge. We thoroughly enjoyed our stay in the Irish countryside in a suite that overlooked horses grazing in the paddock, and experiencing Head Chef John Kostuik's cuisine in the attractive dining room. Ireland has some of the top golf courses in the world, and we decided to take this opportunity to improve our game by taking golf lessons with Irish PGA Pro, Brendan McDaid, at the Brendan McDaid Golf Academy at Rathsallagh Golf Club. The course at Rathsallagh Golf Club is ranked in the top 30 (out of 415) golf courses in Ireland, and Brendan has coached some of the best golfers in the world as European Tour Coach since 1999. Although nowhere near ready to go out and play on the tour circuit after our lessons, at least we learned enough to take a few strokes off our long and short games, and at the end of the day, that is what golfing is all about. Read about our experience at the Brendan McDaid Golf Academy at Rathsallagh Golf Club in the Adventures section, and other articles on Rathsallagh House in the Hotels and Resorts, Chefs' Recipes where Head Chef John Kostuik shares some of his favorite recipes, and Restaurants sections. 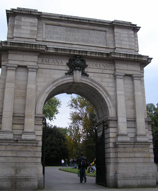 The Irish are passionate about their horses, and when Joe O'Flynn advised us to take a tour of The Irish National Stud, Japanese Gardens, and Saint Fiachra's Garden we happily took his recommendation. What an incredible day we spent learning about thoroughbred horse breeding! 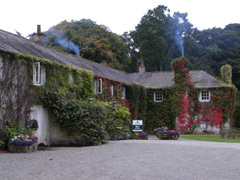 The Irish National Stud is the only stud farm that is open to the public, and the tour is highly informative. The Japanese Gardens were created from 1906 until 1910 for Colonel William Hall-Walker (later Lord Wavertree). The gardens are spectacular and feature rare plants. Of particular interest is the journey of life walk, which takes visitors along the twists of life beginning at birth and culminating in eternity. The third part of The Irish National Stud is St. Fiachra's Garden, who is the patron saint of gardeners. This garden has a spiritual nature and an interesting Waterford crystal flower garden. The Irish National Stud, Japanese Gardens, and St. Fiachra's Garden, will surely enchant visitors of all ages. Visitors can select from Guided or Self-Guided Tours (which comes in 26 languages). The Irish National Stud is open daily from the 12th of February until the 12th of November, from 9:30 am until 5:00 pm. The last admission of the day is one hour before closing time. Limited opening from 13th of November until the 23rd of December is from 10:00 am until 5:00 pm. Last admission is at 3:30 pm. Admission is charged. Please visit their website, www.Irish-National-Stud.ie for complete details. 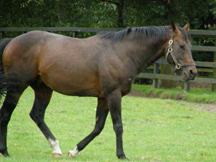 Read in depth about the Irish National Stud in the Adventures section. If you love shopping, the Kildare Village Outlet Shopping should definitely be on your "to-do" list. The Kildare Outlet Shopping opened in 2006, is conveniently located on the way to Dublin, and was another one of Joe O'Flynn's recommendations, so naturally I made Edward stop so I could indulge in some record speed shopping, as we had an appointment in Dublin. In a matter of minutes at the outlet, I found the shop, Régine, a top Irish women's designer, and after a quick try-on in the dressing room, left the store with two large shopping bags filled with gorgeous designer clothes at a fraction of the original cost. Now, who does not love a bargain? Next time, I will make sure to allow enough time in my schedule for a few hours of shopping at the Kildare Village Shopping Outlet! Whether you are looking for clothing or shoes for men, women, or children, home or beauty products, travel items, or accessories, the Kildare Village Shopping Outlet offers something for everyone. A few of the top designer shops include Bally, Kenneth Turner, Monsoon, Polo Ralph Lauren, Régine, Villeroy & Boch, and Wolford to name but a few. There is also a restaurant to help you keep your stamina up for lengthy shopping excursions. Kildare Village Shopping Outlet is open daily with the exception of Christmas Day, from Monday through Wednesday from 10:00 am until 6:00 pm, Thursday from 10:00 am until 8:00 pm, Friday from 10:00 am until 7:00 pm, Saturday from 10:00 am until 6:00 pm, and on Sunday and Bank Holidays from 11:00 am until 6:00 pm. When I could finally tear myself away from shopping we continued on to Dublin, where we had a reservation at The Shelbourne, which reopened in March 2007 after an extensive 2-year renovation project. We had drinks in the Number 27 Bar and Lounge, with bespoke Irish fashion designer, Nicky Wallace, to talk about his upcoming collection, and later enjoyed dinner in The Saddle Room where Executive Head Chef John Mooney focuses his cuisine on a steak and seafood menu in an attractive dining room. Centrally located across from St. Stephen's Green, The Shelbourne was the perfect base for us to explore the exciting city of Dublin. Read other articles on The Shelbourne in the Hotels and Resorts, Restaurants, and Chefs' Recipes sections. Dublin has much to offer visitors and we set about to experience as much of the city as possible. With our hotel located opposite St. Stephen's Green, we began our exploration by touring this 9-hectacre Victorian park, which is a delightful oasis in the city center. St. Stephen's Green is open Monday through Saturday from 7:30 am until dusk, Sunday and Holidays from 9:30 am until dusk, and on Christmas Day from 10:00 am until 1:00 pm. There is free entrance. Grafton Street is a pedestrian street and is lined with flower vendors, interesting shops, and Bewley's Coffee, which my friend, Annette Atkinson, had advised me to stop and have a coffee for her, as she remembered Bewley's from her university days in Dublin when the tempting aromas of the coffee would waft down Grafton Street. Although the restaurant has changed over the years, the atmosphere is comfortable, the food is good, and they still serve Bewley's Coffee. 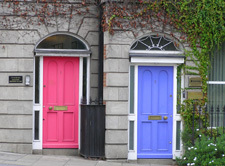 If you want to experience many of the sights of Dublin, which we did, the easiest way is to purchase a Dublin Pass, which provides free entry to over 30 of Dublin's sights as well as free transportation. The Dublin Pass is available online as well as from the Dublin Tourism offices. Visit their website www.DublinPass.ie for a complete list of services and prices. Dublin Castle is a working government building that was passed from the Seat of the British Government Monarchy in 1922 to Ireland. The original part of the castle is about 800 years old, with renovations made after the castle burned and was rebuilt in 1864. The tour took us through the Green Room which features a spectacular painted ceiling, and hare and tortoise designs on the petit point gilt chairs; the Viceroy's Bedroom which is now used as a conference room and features an unusual grouping of chairs of different heights which we learned are ladies and men's chairs. The men's chairs are taller, and the ladies chairs are shorter and wider to accommodate the ladies wide skirts. 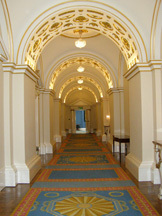 The tour also included the State Corridor with its ornate arches and seven Waterford crystal chandeliers, the Drawing Room, Throne Room built for King George with a unicorn and lion coat of arms, Dining Room and/or Picture Gallery which features a convex spyglass that would allow the Viceroy to see the entire room; St. Patrick's Hall where the Presidential Inaugurations take place every seven years and features banners of the Knights of Saint Patrick; and even a tour of the Powder Tower. 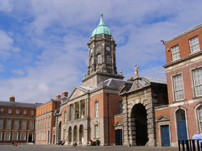 Dublin Castle is open Monday through Friday from 10:00 am until 4:45 pm, and on Saturday, Sunday, and Public Holidays from 2:00 pm until 4:45 pm. Visit their website www.DublinCastle.ie for complete list of details. Admission is charged. 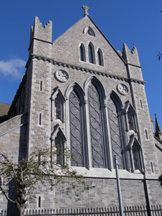 St. Patrick's Cathedral is an integral part of Dublin, and has been since the Normans built a church on the site in 1191. The cathedral is filled with important Irish history, and of particular interest are the stained glass windows, and the many statues, memorials, and effigies that provide a glimpse into the past. Saint Patrick's Cathedral is open daily from 9:00 am until 6:00 pm except Saturday from November until February, and from 9:00 am until 5:00 pm and Sunday from 9:00 am until 3:00 pm. Tours are not conducted during services except for worship. Visit their website www.StPatricksCathedral.ie for a complete listing of hours and services. Admission is charged. Christ Church Cathedral has a very interesting perspective as it was built in 1030. Of particular interest are the many stained glass windows, the medieval stone carvings, and symbols on the floor of the Chapel of Saint Edmund who was a king and a martyr. Christ Church Cathedral is open June, July, and August from 9:00 am until 6:00 pm, and January until May, and September until December from 9:45 am until 5:00 pm or 6:00 pm. Please visit their website www.cccdub.ie for complete listings. Admission is charged. Always on the lookout for unusual city offerings, we visited Dublinia and the Viking World, which is actually quite popular and provides insight into medieval Dublin and the Viking influences. The best part of the museum is that it is interactive, and visitors are invited to experience the Viking World by trying on costumes, etc. making it perfect for families or visitors who like to have a bit of fun. Dublinina and the Viking World is open daily from April until September from 10:00 am until 5:00 pm, from October until March from Monday until Saturday from 11:00 am until 4:00 pm, and on Sunday and Bank Holidays from 10:00 am until 4:00 pm. Please visit their website for a complete listing of times. Admission is charged. Utilizing City Tour, Dublin Sightseeing the Hop on, Hop off bus, provided us not only with an interesting view of the city, but also allowed us easy access to stop off at anytime to see the sights of the Dublin. Visitors can opt to remain on the bus for a 1-hour 30-minute tour, or hop on and off the bus at any of the 23 stops along the way. 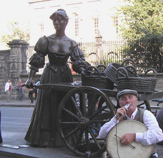 One of the interesting stories that we learned during our tour is that Dublin is full of statues that tell the story of the city, and the Molly Malone statue at the end of Grafton Street, who was a fishmonger and a prostitute, is one of them, as she was one of the many victims of the cholera outbreaks that occurred in Dublin. City Tour, Dublin Sightseeing tickets are available at Dublin Bus, 59 Upr. O'Connell Street, Dublin 1, Dublin Tourism Office, Suffolk Street & O'Connell Street, Dublin Tourism Desk at Dublin Airport, Bus and Rail Information Desk at Dublin Airport, at hotels, and online. 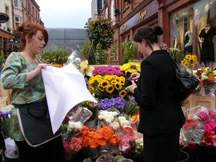 Visit their website www.DublinSightSeeing.com for complete information and prices. Temple Bar is Dublin's Cultural Quarter and we enjoyed strolling through the area and stopping in the galleries, markets, shops, and pubs. For a true Irish pub experience we went to the Vat House Bar where we watched a Rugby World Cup 2007 preliminary match between Georgia and Ireland, while eating fish and chips and of course, sipping a pint of Guinness for Edward. The atmosphere was enthusiastic to say the least, especially when Ireland won the match 14-10! Ireland and Guinness go hand in hand, and as Edward enjoys a pint Guinness now and again, we decided to experience the Self-Guided Tour at the Guinness Storehouse, followed by tasting in the Gravity Bar with 360-degree views of Dublin. For Guinness lovers, this tour should be at the top of your "to-do" list. We came away with newfound appreciation for the product after this interesting tour where we learned one of the secrets of its taste is from the water from the Wicklow Mountains. 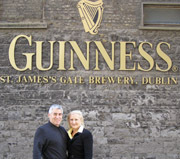 Guinness Storehouse is open daily from 9:30 am until 5:00 pm. During July and August they are open from 9:30 am until 7:00 pm. Closed on Christmas Eve, Christmas Day, St. Stephen's Day, and Good Friday. Admission is charged. 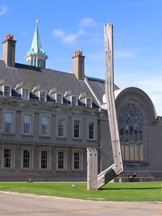 We love contemporary and modern art, and visited The Irish Museum of Modern Art. The museum has changing exhibitions as well as permanent collections featuring the art of such notables as Marina Abramovic, Rebecca Horn, Damien Hirst, Stephan Balkenhol, and Tony O'Malley. The museum is open Tuesday through Sunday. Hours are from 10:00 am until 5:30 pm Tuesday through Saturday, Wednesday from 10:30 am until 5:30 pm, and on Sunday from 12:00 pm until 5:30 pm. Admission is free. As whiskey aficionados, we had to experience The Old Jameson Distillery where we not only learned more about Irish whiskey and what makes it different from Scotch whisky and American whiskey, but we also received certificates stating "Qualified Irish Whiskey Taster" which we proudly added to our collection. The Old Jameson Distillery is open daily from 9:30 am until 7:00 pm, with the last tour at 5:30 pm. 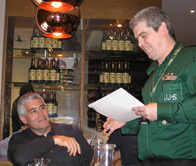 Check their website www.JamesonWhiskey.com for a complete listing. Admission is charged. We also visited Trinity College Library to see the Book of Kells written over 1000 years ago in Latin by monks that feature ornate drawings of the four gospels. 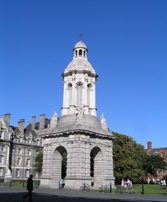 Trinity College is the oldest university in Ireland, and was founded in 1592. The grounds and architecture are spectacular and a walk around the campus provides an interesting look into the academic life. The Old Library is open Monday through Saturday from 9:30 am until 5:00 pm, Sunday from October until April from 12:00 pm until 4:30 pm, and Sunday from May until September from 9:30 am until 4:30 pm. Check their website www.tcd.ie for a complete listing. Admission is charged for entrance to the Old Library and the Book of Kells. Ireland with its stunning natural beauty, world-class golf courses, fishing, sailing, castles, historical sights, shopping, and wide range of gastronomy from haute cuisine to pub food, has much to offer its visitors, and you never know, you just might find a four-leaf clover and a pot of gold at the end of the rainbow. All things are possible in Ireland. Slainté! The currency for the Republic of Ireland is the Euro. As of September 2007, the exchange rate was 1 US Dollar (USD) to 0.70 Euro. The Euro is divided into 100 cents. Euro coins are available in the following denominations: 1, 2, 5, 10, 20 and 50 cents, and 1 and 2 Euro. Banknotes are available in the following denominations: 5, 10, 20, 50, 100, 200 and 500 Euro (€). The electric current in the Republic of Ireland is 230 volts, and uses European 3-pin flat and 2-pin round sockets, so it is advisable to bring your own adapters. Time in Ireland is Greenwich Mean Time (GMT), 5+ hours Eastern Standard Time in the United States. 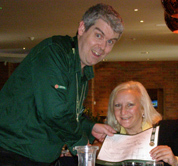 As of September 2007, guests traveling to the United States from Ireland must complete an immigration form and pass through United States Customs at the airport in Ireland. For our 10:30 am flight from Dublin International Airport, our Boarding Card noted that the United States Customs Gate would close at 9:00 am. Be sure to arrive at the airport early so that you will have time to process your VAT Tax Refund paperwork as well as make any purchases from Duty Free, because once you pass through the United States Customs area there is no shopping. VAT Tax Refund is located at the Dublin International Airport after you pass through Security. The official languages of the Republic of Ireland are English and Irish/Gaelic. Signs are written in both languages. To provide you a feel of Ireland, I have included some basic vocabulary in Irish/Gaelic or Gaelige, pronounced gale-geh, and since many people travel to Ireland to trace their heritage, I have also included genealogy terms.